Discovered in episodes 71 “Maiden Voyage” and 73 “Replika”, the Replikas are, like Lyoko, virtual worlds. These are sort of islands, drifting in an infinite ocean which symbolizes the global computer network: the web which links between themselves and computers connected to Internet. The name Replika, created by Jeremie, comes from the fact that these worlds are copies of the first virtual world, the one created by Franz Hopper and that we all know by the name of Lyoko. The word Replika seems slightly pejorative, probably because these Replikas are less accomplished than the original model. They are indeed not as full, as explained below. The first is its bark. It is spherical and when seen from the outside, it isn't polished and seems coarsely cut, almost made out of Lego, a little bit like the ball that is the Sector 5. 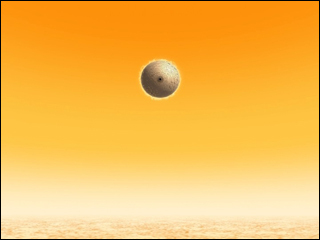 Yet, it isn't a ball but a sphere, which means that it is completely empty and hollow. Its main goal is to protect the digital world contained in this sphere from the water (or data) of the network. At the south of this sphere, we find a small tunnel with a door called an airlock. The virtual worlds being protected, a key is needed to open them. Nothing too difficult to crack for a genius like Jeremy. Despite its harmless look, this airlock is very important. It filters the digital water through which the data transits into the Internet network. Without this airlock, Lyoko or the Replikas would not be elements connected to the network, but impenetrable fortresses blocking any outside communication. In short, the activation of the towers would be completely fruitless because they would have no access to the human world via the network. 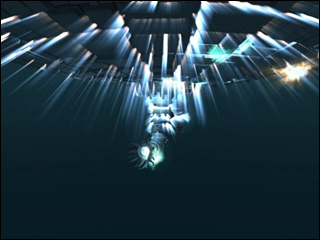 The heroes have to force this access point to get into Replikas inside the Skidbladnir and go into the Digital Sea within the sphere. The Digital Sea is the low proportion of digital water from the network that the airlock “authorized” to enter and settle on the inside of the bark. For more information about it, visit its own page! The digital void represents all the empty space. It is absolutely empty and can almost be defined as nothingness. Yet, theories go in the opposite direction. I'll spare you from all of them, and send the people interested about the virtual question to the file from Mister Gui. Above all, the Sectors have Towers. For more information about them, visit their page. There, we talk about Lyoko and Replika Towers at the same time. It is the contents of the digital world which will differentiate between Lyoko and the Replikas. The latter are only capable of managing one Sector while Lyoko manages five. Four Surface Sectors organised around Sector 5, linking them. With XANA not creating any new Sectors in its Replikas (except in the Wii game with the Volcano Sector), it only took some data from Lyoko to plan many of them on a smaller scale. So Replikas are just sort of plagiarisms of Lyoko. It seems that XANA only took the data conceived by Hopper without even modifying them. We can suppose this by observing the fact that, if XANA reprogrammed the Replikas, it would have made sure that the Towers can't recognize the Code Lyoko...but it didn't happen! The Replikas seem to be pure copy-paste jobs. However, we can pick out some differences, like the Code XANA which doesn't have the same effect on Lyoko as it does on the Replikas. By the way, it is funny to pick out the following anecdote: it's that the most perfect Replika is not made by XANA, but by Jeremy and Aelita. It is the new Lyoko which is born in episode 66 “William Returns”. It is made by Jeremy but based on the former model, a totally complete Lyoko with its five Sectors. Lyoko is organised around Carthage. 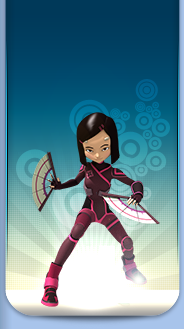 Indeed, it is this Sector which contains the Core of Lyoko, necessary for the proper functioning of the virtual world. 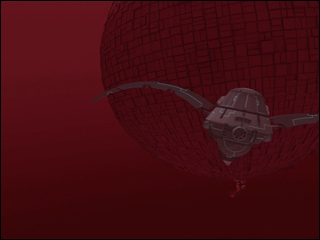 So it is logical that a Replika can only contain a Sector 5, as was the case for Lyoko between the destruction of the last Surface Sector in episode 64 “Double Trouble” and the destruction of Carthage (episode 65). But some Replikas only contain a Surface Sector, in theory without a Core. Mystery of the show. Nevertheless, the number of Sectors doesn't really matter in the end. Indeed, in its fight, XANA doesn't exploit the Sectors themselves but the Towers they contain. Once a Replika has a Tower, like the one from episode 87 “A Space Oddity”, it represents a threat to eliminate. For more information about Towers, visit their page. A Digital World begins to exist when its creators finish its creation. All the data mobilized to give it life are sought and following a maneuver, they converge by the thousands, even millions to the same place where the Virtual World suddenly appears, in a luminous flash. We witness such a phenomenon in episode 66 “William Returns” and the scene is memorable, when tons of blue data impregnated with 0s and 1s converge onto a unique point. There are two ways to destroy a Digital World. The first is to dislocate it from the inside and make it disappear piece by piece, Sector by Sector. There are various methods of doing this. The XANA section sums it up very well in the paragraphs concerning the attacks on the Core of Lyoko, or XANAfication on Lyoko and the Code XANA. When a virtual world sees all its Sectors switched off, it doesn't have the strength to maintain itself. The pressure of the Digital Sea crushes it while the energy emitted by the explosion of the Sectors makes it implode. The Digital Sea quickly devours the void that's created. The second way is to destroy the machine generating it. A Virtual World is, indeed, nothing but a program, or even a tangle of programs executed permanently by an overpowered computer (a supercomputer). 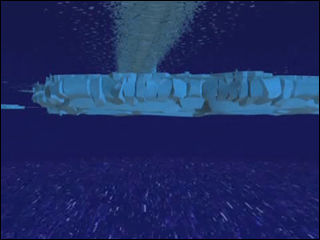 In episode 37 “Common Interest”, we clearly remark that each time the Supercomputer switches off, due to the lack of energy in its nuclear battery, Lyoko regularly threatens to disappear. That's why when the heroes get rid of a Supercomputer infected by XANA, the Replika it generates evaporates. We note that the Sectors disappear first before the bark breaks and explodes. Thus, the heroes only used the second way, thanks to Teleportation. 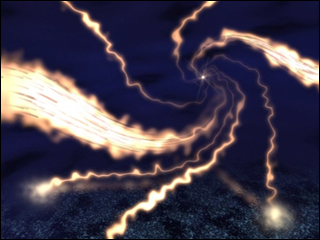 XANA used the first way from episode 54 “Lyoko Minus One” to 65 “Final Round”, however, it often tried to use the second way without success (episodes 59 “The Secret”, 75 “Hot Shower” or 81 “A Lack of Goodwill”). 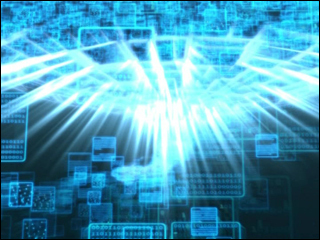 Today, the only virtual world which could get switched on again is the Second Lyoko which would return once an individual turns Hopper's Supercomputer on. The Replikas all disappeared with XANA, although we don't exactly know how the multi-agent system erased them. We can wonder why it didn't only erase XANA's presence, quite simply. Or maybe erasing XANA's presence would delete the essence of the world, which couldn't maintain itself anymore.